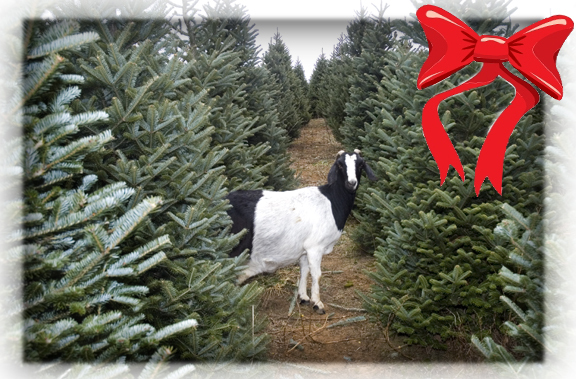 I was out shooting Choose and Cut Christmas trees on Sunday and happened upon a very pregnant goat munching its way through the tree paths. If you want to get a fresh Christmas tree for you family come up here and visit one of the many growers in Watauga County. It is good fun to pick out your tree while sipping hot chocolate and cider. And then, you never know what you might run in to. There was a horrific crash in Watauga County on Friday night that took the life of Drew Newell, 22, of Boone. His father Brian is in serious condition in Johnson City. A Blog has been set up which posts most of the media reports on this incident and tracks Brian's progress. Further updates, as they are confirmed, are also found on the Watauga Democrat website. This is a beloved family and our community is hurting and trying to wrap our brains around this senseless tragedy.